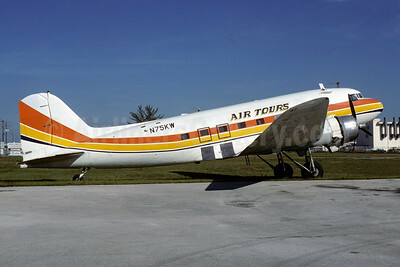 (formerly Las Vegas-Air Bus Airlines) (ZE) (Burbank) 1979 - 1980 (became Pacific National Airways-PNA). Photos. Framable Color Prints and Posters. Digital Sharp Images. Aviation Gifts. Slide Shows. Air Tours Douglas C-53-DO (DC-3A-405) N75KW (msn 4861) (Air Sunshine colors) MIA (Bruce Drum). Image: 103598.